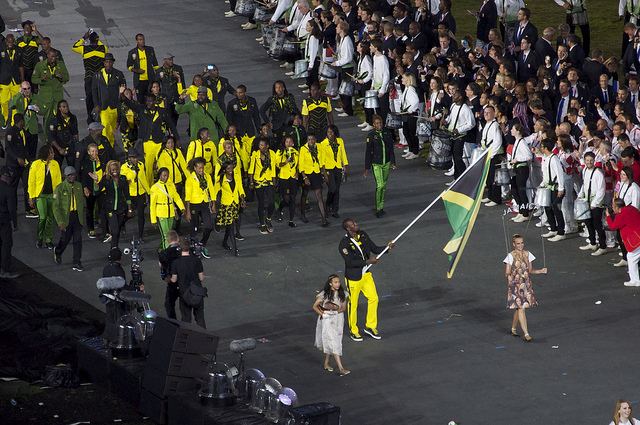 Kingston, Jamaica, is known for its kaleidoscopic colors and infectious reggae beats. This music genre incorporates some of the musical elements of rhythm and blues, jazz, and traditional calypso to form its own unique sound dominated by the bass guitar. 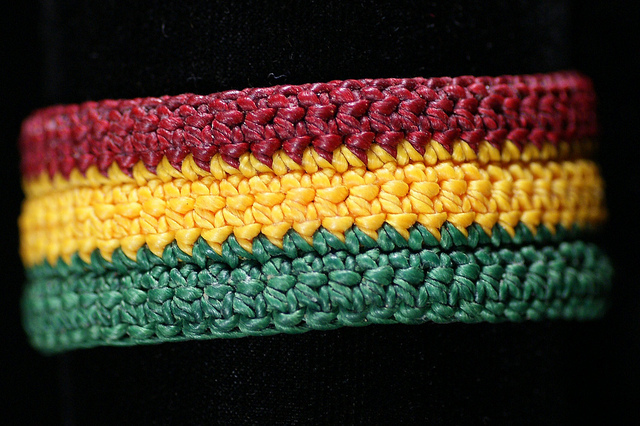 It’s a popular style that relaxes the listener, often communicating the hopes, dreams, and stories of the Jamaican people. 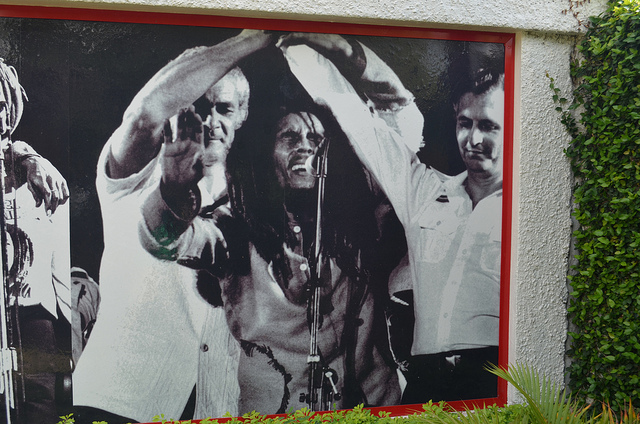 As it originated in Jamaica in the late 1960s, where better than this country’s dynamic capital to seek out some of the world’s premiere reggae music venues? Here are the top 10 in Kingston. 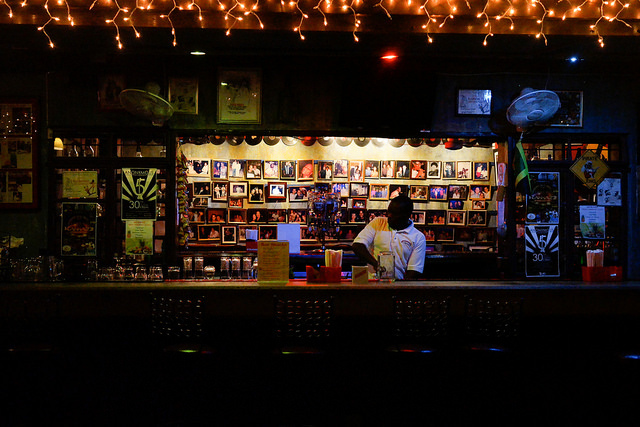 If you’re searching for the perfect family-owned, authentic reggae club in Kingston, look no further than Redbones Blues Café. The café is inspired by both Jamaican and international flavors, and features a light lunch and homemade dinner menu. Also offered is a wide variety of cocktails, with a bar-snack menu to match. Reggae music played by notable artists can be heard throughout the entire establishment, and four dining locations are offered to guests, including a main dining room, a terrace, a courtyard, and a private dining room. Redbones occasionally hosts art exhibitions to accompany the live music, and with no definite closing time, customers have the opportunity to enjoy the atmosphere well into the night. Located atop the breathtaking hills of St. Andrew, the Kingston Dub Club promises pleasant vibes and a welcoming environment. Every Sunday night, from 8:00 p.m. to 2:00 a.m., the club opens up for a popular night of “dub.” Rocker and reggae fanatics are encouraged to come out, to meditate, and to open up to the authentic jams. What elevates Kingston Dub Club above other venues is that music here is never altered or auto-tuned; all music played is pure and undiluted. Casual attire is acceptable for the bar area as well as the lively, brightly-colored dance floor. Guests are highly recommended to check out the breathtaking views of the city offered here. 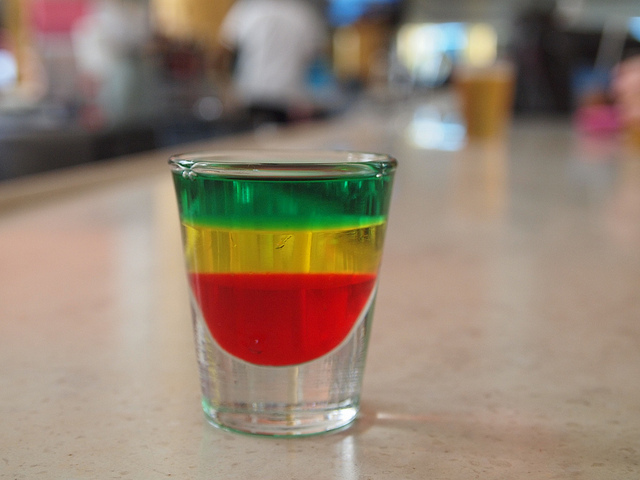 Tracks and Records is a reggae sports bar and lounge inspired by famous Jamaican track star Usain Bolt. The venue can seat over 200 people, and with its gigantic stadium design, there isn’t one bad seat in the house. A circular bar sits in the middle of the lounge, serving signature beverages and light Jamaican faire. Over 45 flatscreen televisions sit in the lounge, and those looking for a more luxurious visit can book a VIP area. When leaving the lounge, guests walk through a Usain Bolt retail shop, offering rare memorabilia that can only be found at Tracks and Records. Those looking for a music and sports infused experience, head to Tracks and Records. As the motto here goes, “Escape reality, and live the fantasy.” Kingston’s exclusive, upscale night club Fiction Fantasy is one of the latest and greatest additions to the city. Although locals are known regulars at the club, this is a must-stop for Kingston visitors. Fiction Fantasy will guarantee an extraordinary night, and the friendly staff makes every guest feel as if they are a celebrity — actual celebrity appearances are nothing out of the ordinary for this club, too. This hotspot is sure to be playing the latest music, including the hottest reggae tunes. Owners compare the club to a party in the heart of a U.S. city such as Miami or Los Angeles. Jonkanoo Lounge is located on the ground floor of Kingston’s exquisite Hilton Hotel. Hanging red lights establish an intimate, dance-provoking atmosphere. The club is regularly open from 6:30 p.m. until 2:00 a.m., but guests are encouraged to confirm event information with the hotel’s front desk or on the club’s Facebook page. Known as “the club that dares to be different,” Jonkanoo hosts weekly Latin nights where professional Latin dance instructors give beginner level lessons for a few hours, and then open up the dance floor to all dancers, despite their skill level. During other nights of the week, the club’s DJ usually plays ’80s music, reggae classics, and the latest club hits. Occasionally, local artists will perform new music in correlation with album launches. 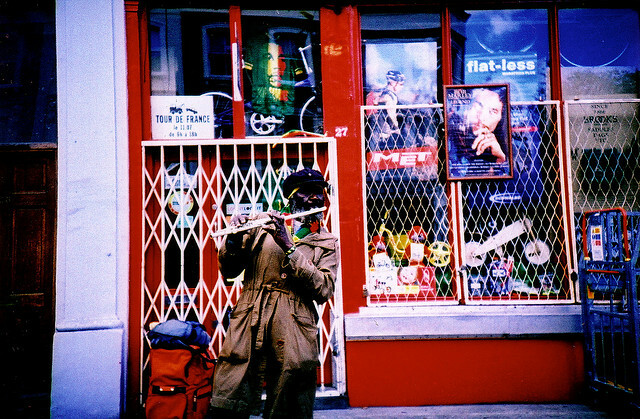 Famous Nightclub is another one of Kingston’s favorite reggae music spots. Located over the water, the club exudes a breezy and relaxed aura whilst never losing the high-energy club experience. The club is designed with a full bar and spacious dance floor. Famous is open weekly on Thursday nights from 10:00 p.m. to 4:00 a.m., but times may vary on themed event nights. The mission of the club is to ensure that customers can sit back, let loose, and be free, and the extremely responsive staff makes sure these boxes are ticked. Opened in 1994 and relocated in 2009, The Deck has been a well-known sports bar and grill in Kingston for over 20 years. Although The Deck primarily attracts an after-work and college crowd, the whole family is always welcome. Part of the lounge is located inside, whilst the bar is set outdoors, charmingly wrapped around a mango tree. This special spot is known for its love of music and nightlife entertainment, bringing in notable live artists such as Ernie Smith. Highlighting the success of The Deck is its numerous awards, the most recent of which was the accolade of “Best Watering Hole,” given to the establishment by the Observer Food Awards. 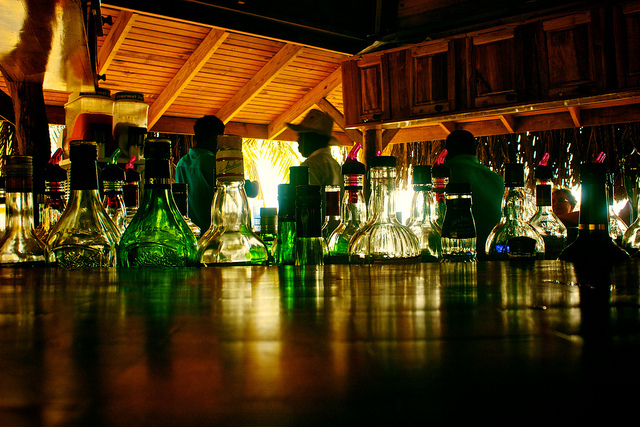 A great spot by day and by night, Escape 24/7 Bar and Grill provides that infectious reggae feel all day, every day. In the mornings, authentic Jamaican food is served with exceptional service and plate presentation. Outdoor seating as well as domino tables serve to maximize the enjoyment of all customers. As day turns to night, the laid back atmosphere transforms into an entertaining club-like setting, with ladies entering free of charge every night. Themed nights such as “TGIF” and “Karaoke Mondays” are extremely popular, each featuring their own drink specials, like discounted beer buckets and vodka drinks on the latter. Arguably Kingston’s most popular club, Asylum is renowned for its reggae flare. Whilst reggae is mainly played every night, various specific nights are dedicated to other types of music, such as oldies or karaoke. Open Tuesday through Sunday from 5:00 p.m. to 2:00 a.m., the club fills up quickly; a long line typically forms by 11:00 p.m. The name says it all: Privilege is one of the most exclusive, high-end clubs in Kingston. The owners pride themselves on the luxurious atmosphere that stands out from other clubs and bars in the area. With a main bar and a separate champagne space, Privilege carries 160 different liquors, many of them rare and impeccable. Additionally, there is a brilliant sound system in place, an attractive dance floor, and walls covered with mood-lighting. VIP sections can serve over 50 guests, and are sure to make the experience well worth the price. Both local and international celebrities have visited the club, proof of its elegance and quality.